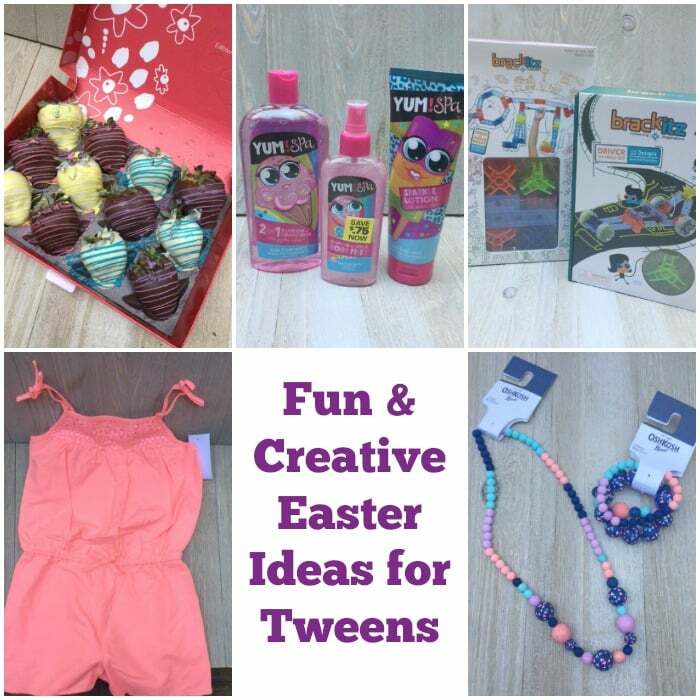 Putting together an Easter Basket for your tween isn’t easy! Yes, you can fill it up with lots of candy but I don’t think kids need all that candy. I always have some traditional Easter candy inside but I like to add some fun items as well. When it comes to creating the perfect Easter basket, you have to think outside of the box a bit. I’m going to give you a sneak peek into my daughter’s Easter basket to see some of the fun items she’ll be receiving this year! Edible Arrangements is a fun and unique Easter gift and kids will love it! Bright Swizzle Berries® are decorated with festive colors and covered in semi-sweet and white chocolate. Yum! 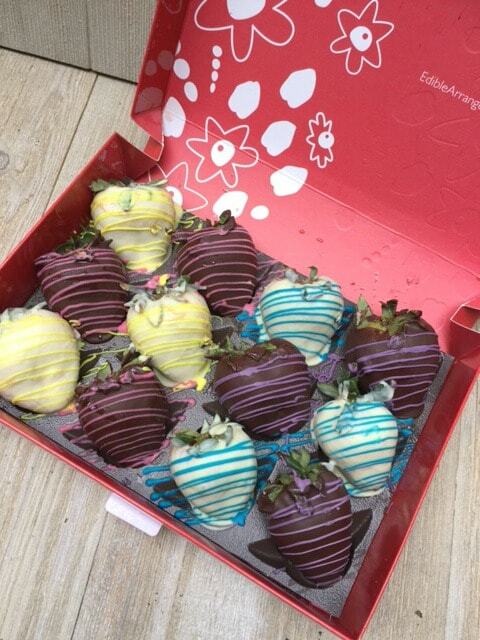 If you are looking for some fun Easter gifts, make sure to check out Edible Arrangements for an array of options. They have everything from chocolate covered pineapple bunnies to strawberries, apple truffles and more! Shop now and save 20% off orders $50 or more, use promo code BLOG4723. If you have a daughter in your life Yum! Spa® is another fun idea for an Easter basket. My daughter is going to love the Sparkle lotion, Shimmer & Shine Body Mist and the 2-n-1 Shampoo & Conditioner! 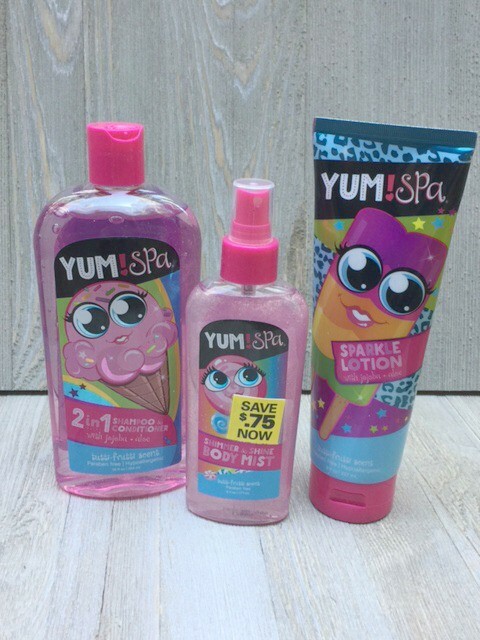 Right now you can save $0.75 on any product, you can shop here. Don’t forget that the products are Paraben-Free and Hypoallergenic! Clothes are perfect for Easter baskets. 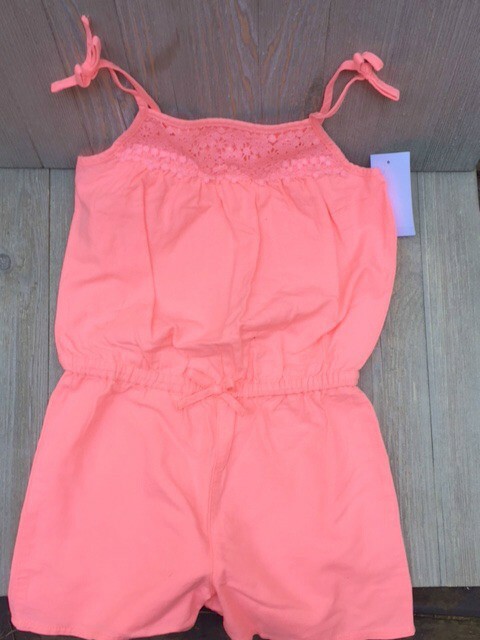 Kids always need new clothes and it’s the perfect time to kick off spring with some spring time clothing. Osh Kosh has a great spring collection! You’ll find mix and match tops, knit tees, easy pull-on pairs and much more. For girls, Osh Kosh has extraordinary tanks. Pockets and bows add a little something extra. You can also find bike shorts, pull-on shorts and scooter skirts to pick from. 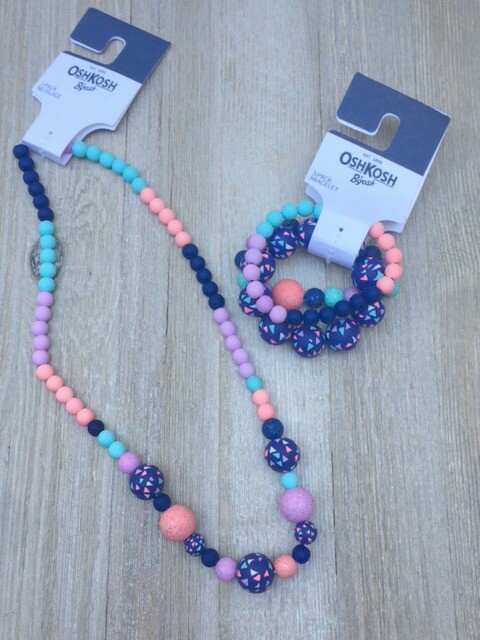 Oh and check out this adorable jewelry from Osh Kosh! Too cute! For boys, there are bold graphics plus easy jersey shorts in basic and bright colors. You can do all your shopping at online at Osh Kosh! If you want to add some toys to the Easter basket, you need to check out Brackitz. Seriously, such a cool toy! The perfect creative toy for kids of almost all ages. You can get Brackitz at Target and online. These unique, connect-anywhere brackitz attach to traditional planks at any point, any angle, enabling builders to design any structure they can imagine! Kids will LOVE them! Inventor 44 – Unique, connect-anywhere Brackitz attach to traditional planks at any angle, enabling builders of all ages to create everything from small-scale builds to larger-than-life, gravity-defying, 3-D structures – no limits. With plastic planks and new rotating pieces, the Inventor Series enables anyone to creative builds with moving parts! Versatile, durable and portable, award-winning Brackitz brings real life art, math, science, architecture, and engineering principles into play! 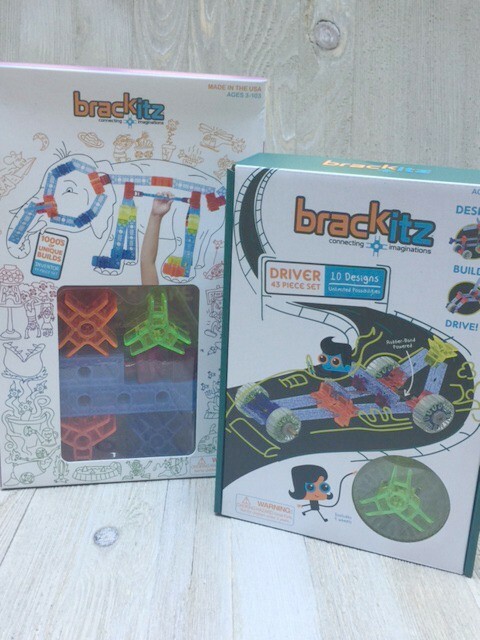 The Brackitz 44 Piece Inventor Set lets kids invent bigger and better… even taller than most parents. Driver 43 – The Brackitz Driver Set includes 43 pieces and directions for 10 driving machines – from a spinning gyrocopter to a space rover to a wind-up wind blaster. With wheels, axels, hubs and rubber-band drivetrains, engineers of all ages can design and build machines that spin, explore space, fly through the air, or drive crazy fast. No driver’s license required! What are your favorite Easter basket ideas? Make sure to share in the comments!